Many investors equality volatility with risk but they couldn’t be more wrong. Risk should not be measured in terms of whether you stock went up or down by 10% in one day. Risk should be viewed as the chances of you losing 100% of your investment. Unfortunately, most investors do not see risk from this point of view. Instead, most private investors and indeed professional investors, view risk as volatility and try to measure it with beta. Beta is misleading because it is measured in the past. Even if price volatility was a perfect barometer of risk, the history tells us little about the future. General Electric was a relatively low volatility stock up until the end of October when its outlook suddenly changed, and the stock lost nearly a quarter of its value. Understanding the difference between risk and volatility is one of the cornerstones of investing. As Warren Buffett’s well-known quote above suggests, if you don’t understand the difference between these two principles, then that’s risky in itself. 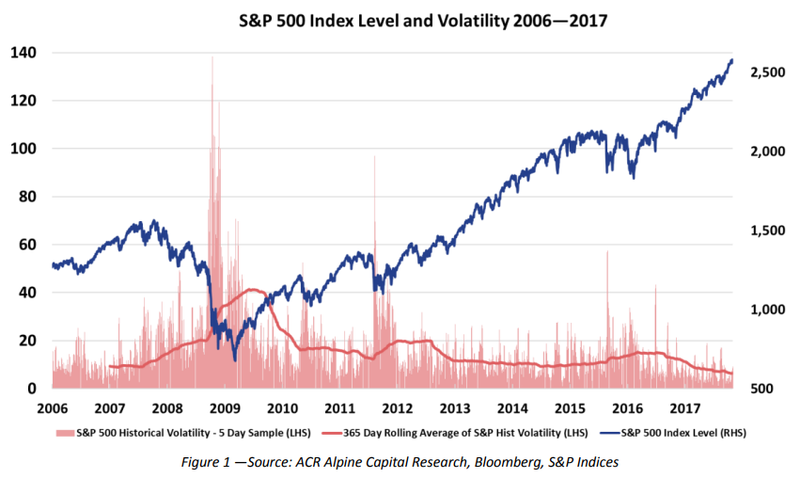 Today, volatility is at all-time lows as shown in the chart below from Alpine Capital Research. Investors are relaxed today, just like they were in 2007 before volatility spiked. Few would suggest that 2007 was a better time to invest in US stocks than 2009 after they became over 50% cheaper partly because volatility was high, but also partly because the world seemed to be falling apart. Those that did buy have made a healthy profit. But what about the market environment today, volatility is at an all-time low but what about risk? The answer to this question isn’t clear-cut, but it’s clear there’s plenty of risk in the market today. 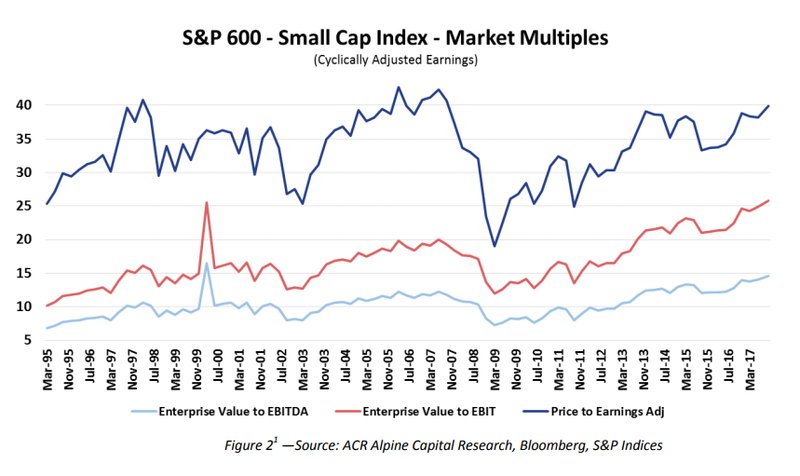 According to Alpine’s research, small-cap stock valuations are at their highest level in more than two decades (shown below). Meanwhile, debt has grown to unprecedented levels despite nearly a decade of record low rates. So, while volatility might indicate a low level of risk in the market, the reality is very different. High valuations and weak balance sheets make for a toxic, high-risk environment.